Your social media pages might be a way to connect with your old friends and share your photos and opinions, but they are now becoming an integral part of your job search, and can have a lasting impact on potential employers. A 2018 CareerBuilder Survey found that nearly 70% of employers searched for a candidate’s social media pages—and 34% have reprimanded or fired a current employee regarding personal content they found online. 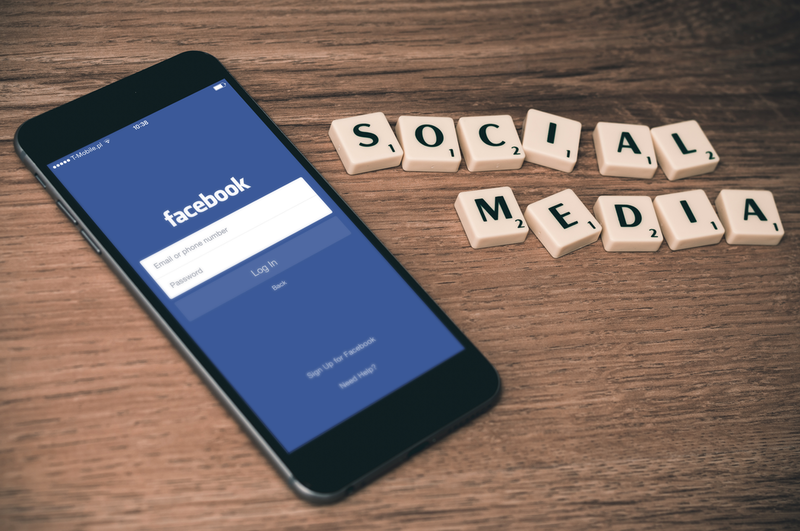 Because many of us regard our personal social media pages as just that—personal—it can be easy to forget that the things we post online may not be suited for a professional environment, and could even cost you a job. Online reputation and personal web presence results are so prevalent and easy to find, they have the ability to make or break your chances at landing a job. So what can you do to protect and improve your name and your brand online? Here are some tips for turning your social media pages into clean and professional extensions of your personal brand. First impressions are everything! It’s essential that the first things an employer sees on your social pages will have a positive and lasting impact on their perception. Make sure that your profile picture is a clean shot of you looking great and personable; preferably without sunglasses obscuring your eyes (they are the windows to the soul, after all). While it’s great to have pictures with friends or other people, consider using a single photo of just yourself as your profile picture to help solidify your image in your potential employer’s mind. You are your brand at the end of the day, and establishing a personal brand recognition is key to creating a solid online presence. An important element of honing your personal brand includes being able to promote yourself efficiently and with confidence. Update your bio section of your Facebook, Twitter, LinkedIn, and Instagram as things such as your job, interests, and life events change. Keep your bio concise and clear, but add the flair of your personality and brand—remember, they want to hire a person, not a machine! Your bio could include things like: what you do, links to your other social media pages or your personal website, interests and activities outside of your work, and ways to get in touch. Make sure that your bio is consistent across other social media platforms; bios also come up in search engines, and 66% of employers use search engines to look up names of applicants. You can tell a lot about a person based on who they surround themselves with. Make sure that the pages and people you follow don’t contain any questionable content, as people visiting your page will easily be able to see where you’re connected. Organizing and cleaning up your likes and followed pages can prevent employers getting the wrong idea about you and your associations. Making sure to double check your privacy settings will also help in this. On Facebook, you can change your settings to make sure that any post tagging you has to be approved before it appears on your profile and links to your page. This will give you control over your online presence and affiliations, as well as help you monitor the content that could come up when someone searches your name. It’s important to maintain a healthy level of activity on social media sites, but not spend too much of your time. Seeing time stamps on Twitter or Facebook all day every day might deter a potential employer. Yet, keeping somewhat active on your socials demonstrates an awareness and commitment to your personal brand. On sites like LinkedIn, by maintaining a steady level of activity and working to create new content/posts continually, your name will be more likely to show up in a search query from a potential employer and increase your chances of being noticed. Maintaining activity on a site liked LinkedIn will also ensure that you’re aware of what the market is looking for, and will give you a head start in applying in a timely manner. The best way to see how you come up on Search Engines, such as Google & Bing is to do a search for yourself. Opening a private browser or incognito window will allow you to conduct a personal search query or ‘Google’ yourself, without being logged in or tracking cookies, so you’ll get a glimpse of what someone without any previous connections to you will see. When you search, try different iterations or nick names, or any other key words that an employer might search for when scoping out your online presence. Being able to see how you come up in a general search engine result pages, will give you an idea of what you could improve upon in your posts. Doing so periodically will help you make sure that there’s no sensitive content or information coming up under your name that could endanger your online presence. Sometimes it might feel like the easiest thing to do is to avoid social media altogether to slash the risk of something getting out that you don’t want. While that sounds solid in theory, in reality it is so much more important to have and active online presence through social media sites. On average, 47% of employers have said that they wouldn’t contact a candidate for an interview if they weren’t able to be found online. Of those employers, 20% said it was because they expect their employees to have a strong online presence. Understanding your personal brand is essential to crafting a high-quality online presence, and finding the perfect balance of personality and professionalism can be tricky to gauge. That’s why at Vocamotive, we are dedicated to helping you hone your individual brand and online presence, and offer a wide range of courses and services led by top industry professionals. Discover more job hunting information HERE and see how you can Vocamotive will help you empower your employment.